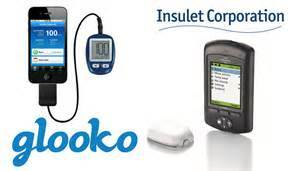 Last June, I reported that Glooko announced its partnership with Dexcom and Insulet, in an effort to unify all diabetes relevant device data into a single, platform which allows both patients and healthcare providers to review and improve health outcomes. Well, as of last week, this partnership became a reality for me! On a routine visit to my endocrinologist, the Omnipod territory manager and his CDE were in the office, installing their first doctors’ office to go “live.” And I got to be the guinea pig! They walked me through setting up my Glooko account, downloaded data from my Omnipod PDM and my Dexcom CGM. Then I linked my Fitbit. And VOILA, I’m up and running. The Glooko app is FREE! So if you want to see how it all works, just set up your account with Glooko on your PC, install the app on your phone, and you’re on your way. There is plenty of great phone support from Glooko. And if your endo is up-to-date technically, then you can link in that office to receive your data as well. If you do try this, I’d love to know what you think of the app and its ease and usefulness to you and your diabetes management.